OstroVit STANDARD WPC80.eu is the highest quality whey protein concentrate, containing 80% protein. 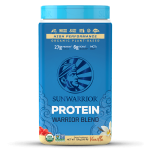 It is an excellent source of whey protein, which contains a wide profile of amino acids necessary to build muscle fibers. OstroVit STANDARD WPC80.eu is a product produced in the ultrafiltration process in which the concentrated protein fraction from the whey is concentrated before the earlier separation from milk sugar and fat. It is characterized by a reduced content of fat and carbohydrates. Due to 80% protein content, which contributes to the growth of muscle mass and helps to maintain it, STANDARD WPC80.eu is suitable for all athletes, regardless of the sports discipline. It is especially recommended in the period of building muscle mass. It can be used during advanced training, but also as part of the daily diet, to supplement nutritional values. Source of Branched Chain Amino Acids. 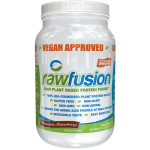 It works anabolically - it helps to build pure muscle mass. It works anti-catabolic - prevents muscle breakdown. It accelerates the regeneration of the body. Especially recommended during the period of building muscle mass. Add one portion of 30 g (about 2.5 scoops) in 200 ml of skim milk or water. Consume 1-2 times a day depending on your needs. * Reference intake value for an average adult (8,400 kJ / 2,000 kcal). 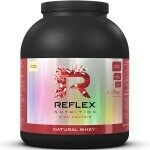 NATURAL VERSION :Concentrate of whey protein from milk. FLAVOR VERSION : Concentrate of whey protein from milk, cocoa (chocolate dream), aromas , thickening substances: xanthan gum, gum arabic; salt, acidity regulators: malic acid, citric acid (strawberry cream, wild berry), colors: caramel (sponge cake, biscuit dream, hazelnut cream, tiramisu cake, creme brulee, peanut butter, apple pie), carotene (banana cake, vanilla) ), anthocyanins (blueberry yoghurt), beetroot (strawberry cream, bubble gum), copper complexes of chlorophylls and chlorophyllins (pistachio cream); sweeteners: acesulfame K, sucralose. Both the natural and flavored versions may contain soy and nuts. 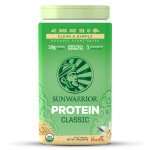 Optimum Nutrition Whey 74 ServingsON..
SunWarrior Classic Vegan Protein 1kg ..
SunWarrior Blend Plant-Based Protein pro..
MusclePharm Combat 100% Whey ProteinULTR..
Why Buy RawFusion Protein?In the past, i..
Optimum Nutrition Whey 33 ServingsON..
SunWarrior Classic Protein relies on the..